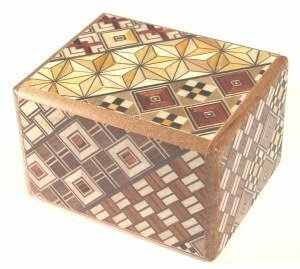 Each puzzle box is handmade in Japan. Not very big, but a challenging 7 moves to open. Actual size outside: 60mm x 46mm x 37mm Space inside: 35mm x 32mm x 25mm. Pictures are indicative of product only.